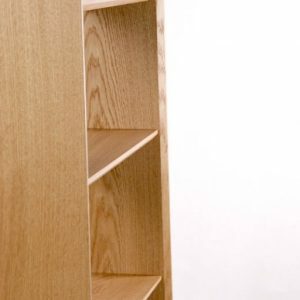 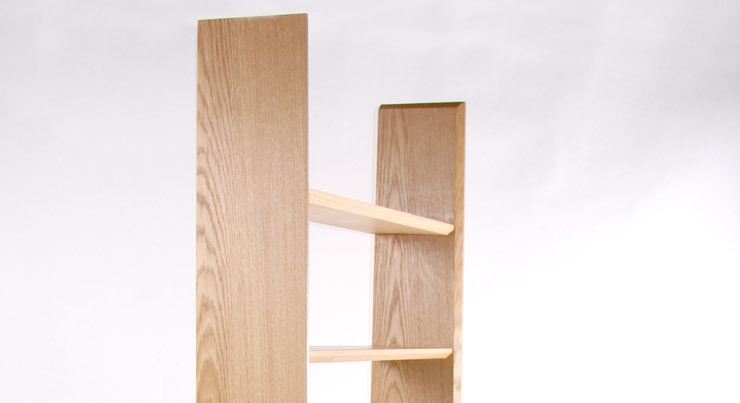 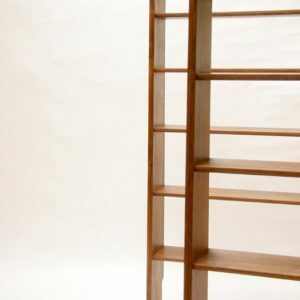 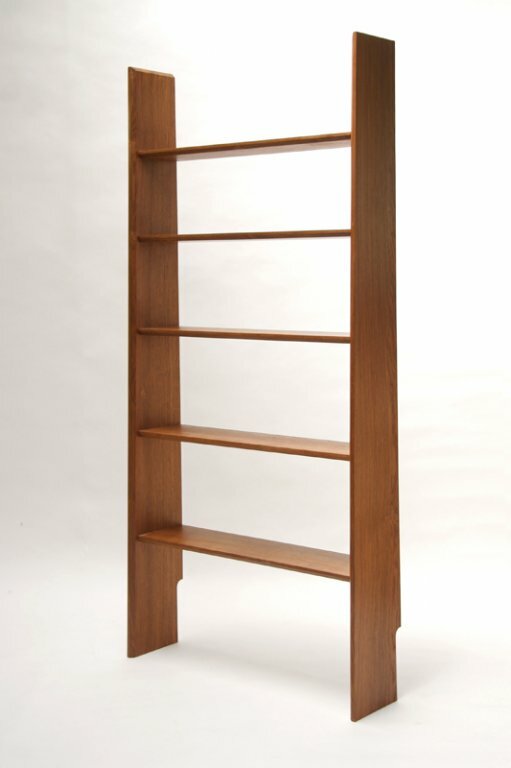 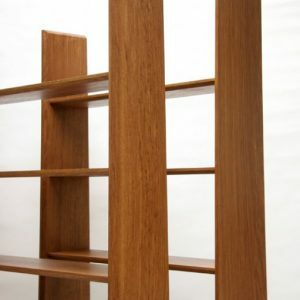 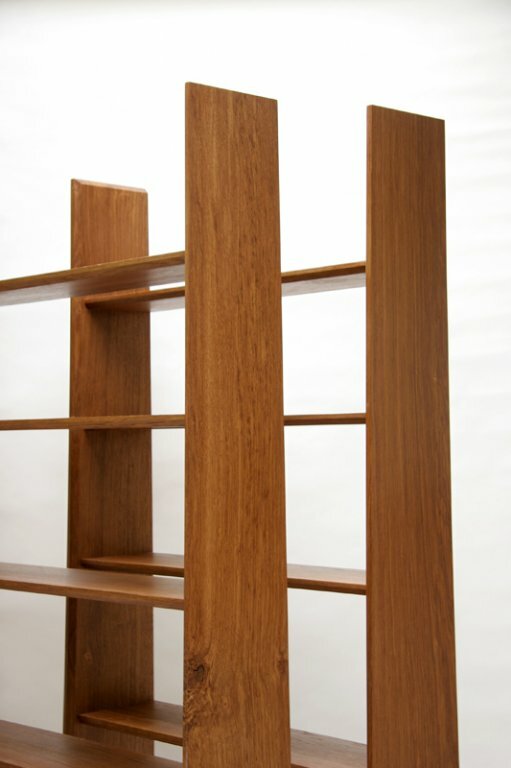 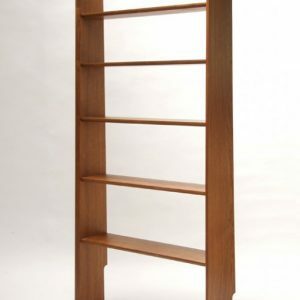 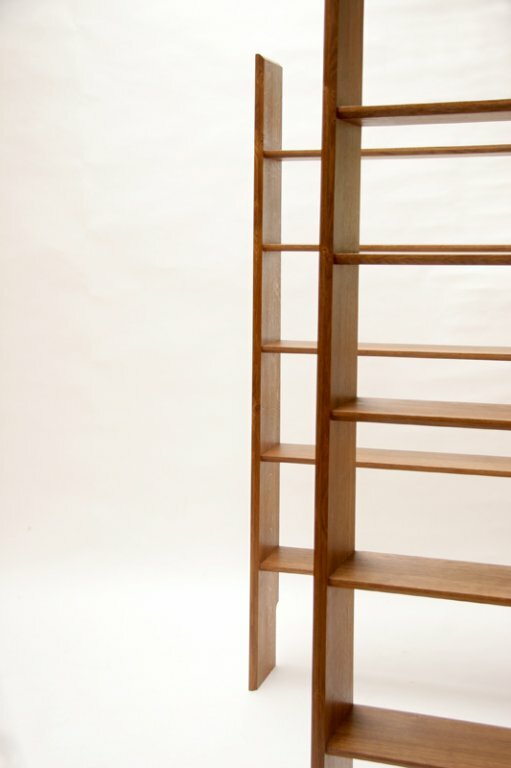 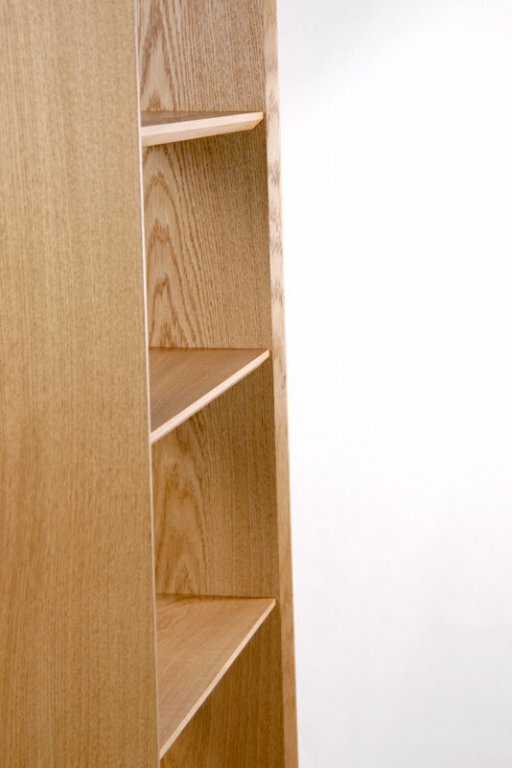 Description: These shelves are constructed with traditional joinery so they are rigid without the need for a back panel. 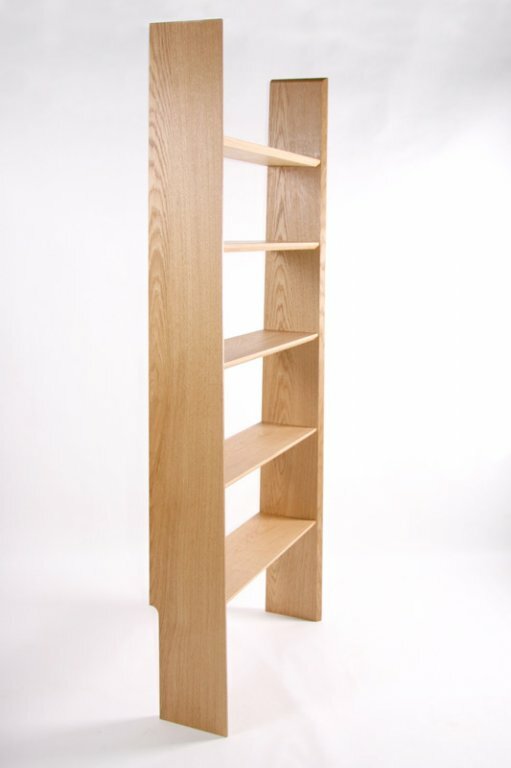 The unit narrows towards the top and the shelf space reduces. 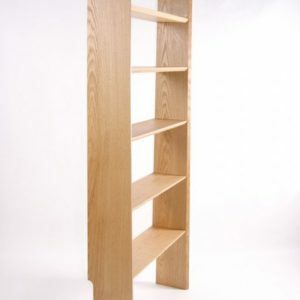 These can be made to measure and the skirting cut-out adjusted to suit.